Do the courses come with audio? What kind of materials does each course have? Can I download and play the video lessons on my iPhone or iPod? I purchased the course, but where are the lessons? After I made the payment, I was not redirected to sign up. What do I do? How can I tell which course I am registered in? If I were to encounter any problem with the registration process or any issue with the course materials, what will I have to do? What kind of support will I receive after I registered for any one course? You can register by going to the registration form and click on the course(s) that you wish to enroll in. You will go through the payment process with Paypal. Once the payment is completed, you will be directed back to sign up on the site. Click HERE for the registration form. YES! 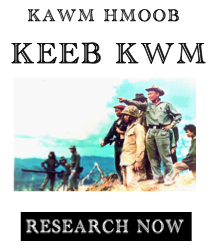 The White Hmong Reading Writing course comes with full audio recordings of every lesson. 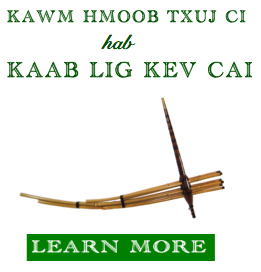 The Speak Hmong 101 and Hmong Vocabulary 101 comes with video lessons that include audio. YES! You can download all the lessons from the website. All audio files, videos, and transcripts & Worksheets can be download to your computer. Once you sign up, you will have access for a lifetime. There is no limit time to your paid membership. You will have access to the material anytime and anywhere there is a internet connection. Absolutely! Once you sign up for the course, you will find that there are two sets of videos. The first set are HD videos that can only be played on a computer. Under that, there will be another set of videos that are compatible for iPhone and iPod. You can download them and load it to your iPhone or iPod. After you finished with the registration process, you will be redirected to a “New Member” page. There you will find all the links for the varies course’s materials. If for some reason you are not redirected to the “New Member” page, you can log out and log back in. You will see another member’s page that have all the links. For some reasons, after you made the payment it may not redirect you to the sign up page. I don’t know if my theme is causing the issue or the membership plugin that I used. But please do not worry, once I received your payment, I will manually add you to the course(s) that you have purchased. Every time you login to the site, you will get to the member’s page that have all the links to the courses. Above the links, it will tell you which course(s) you are registered in. The other way of knowing is by looking at the login widget (once your login). It will said “Membership Level”, and it displays your course(s). You may contact me through email at learnhmong@hmonglessons.com or facebook. I will get to you as soon as possible. Even though these courses are meant for you to study by yourself, do not hesitate to contact me with any questions. You can either contact me through the website, my facebook, and email at learnhmong@hmonglessons.com. I will response to you as soon as possible and will give you my full support to your journey of learning Hmong.